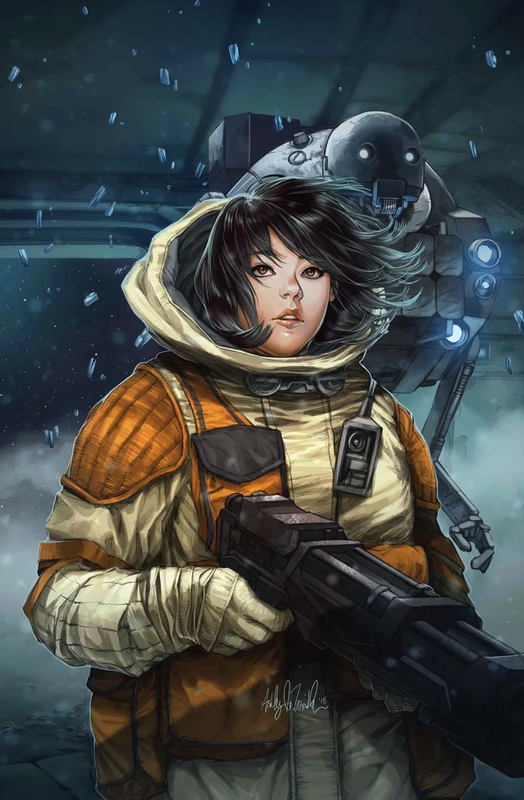 IDW has one new Star Wars release today, and Marvel has two. “Powered Down,” Part 2 (of 2). 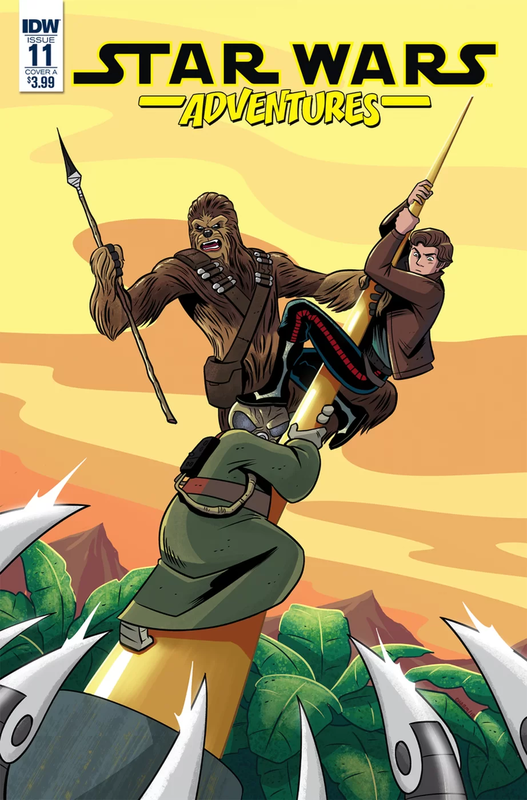 Han and Chewie are stuck on an alien planet with no way off while being pursued by droids bent on their destruction! Will everyone’s favorite smuggler duo find a way to safety before time runs out? Also features the conclusion to a Lando Calrissian story by Elsa Charretier and Pierrick Colinet! Continues the story set up in the Star Wars Adventures Free Comic Book Day issue! In stores in time for Solo: A Star Wars Story! Latest Databurst From the 501st covering 501st Legion events around the world from June 6 to 12th. As always, be sure to mark your calendars and support your local garrisons. Golden Gate Garrison will be in San Mateo, CA for the Highlands Elementary Science Family Fun Night at 6:00 PM. Polish Garrison will be in Torun for Wieczor Marzen w Zoo. Star Garrison will be in Highland Village, TX for the McAuliffe Elementary End of School Ceremony. Alaska Garrison will be in Fairbanks, AK for the American Cancer Society Relay For Life at West Valley High School Track from 6:00 to 9:00 PM. Alpine Garrison will be in Murray, UT for the Relay For Life at Murray Park from 6:00 to 9:00 PM. Central Garrison will be in Clinton, IA for Star Wars Night with the Clinton Lumberkings at Ashford University Field, and in St. Paul, MN for Star Wars Night with the Saint Paul Saints at CHS Field. UK Garrison will be in Colchester for Dreamnight at the Colchester Zoo from 5:00 to 9:00 PM.